Research has shown that patients with beautiful teeth and confident smiles are perceived as friendlier, more attractive, and more outgoing. Not everyone is born with a naturally beautiful or confident smile, though. That’s why cosmetic dentistry was invented! The solutions we offer at our Richmond, TX dental office are among the best and most popular. 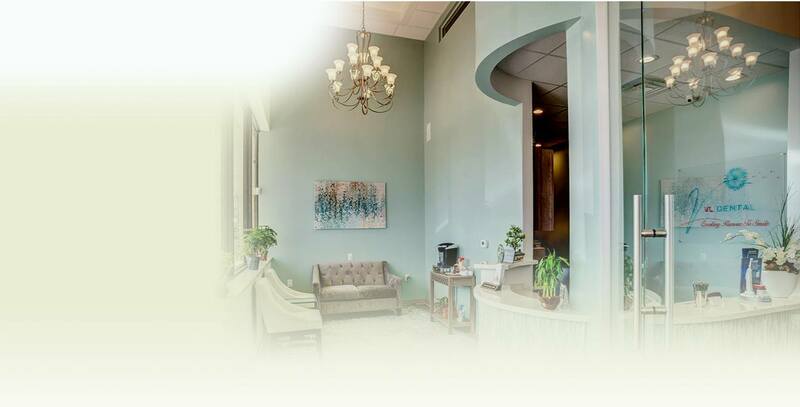 When you come to VL Dental for help revitalizing your smile, you can expect great things because our team is committed to offering the highest level of care, with advanced knowledge and skill, and a comfortable atmosphere. Walk into any pharmacy or grocery store and you’ll find plenty of products claiming they can whiten your smile. The truth is, it takes a professional whitening system to see real, lasting results. At VL Dental, we offer two great professional options: in-office whitening and at-home whitening. 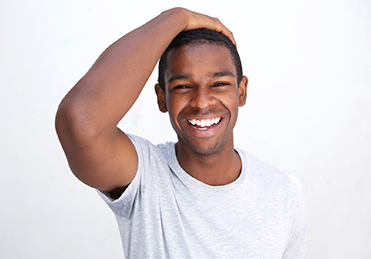 With in-office whitening, you can achieve remarkable results in just one hour. At-home whitening, by comparison, uses clear trays and a supply of whitener to help you achieve similar results overtime in the comfort of your home. At VL Dental, we are committed to excellence in all services even something as simple as filling a cavity. In the past, dentists used metal fillings to help patients treat cavities, but today there’s a much more discreet alternative. With tooth-colored fillings, you can rid your smile of decay without drawing unwanted attention to the work we’ve done for you. Instead, you can smile with confidence. What’s more, tooth-colored fillings are also supportive of the tooth’s natural structure. That means we can repair your smile while leaving more of it right where it belongs. Are you searching for a minimally invasive way to achieve a whiter, straighter-looking smile? Let us talk to you about what's possible with porcelain veneers. This popular service uses very thin pieces of porcelain to hide flaws like cracks, chips, stains, and spaces between teeth. A complete veneers makeover often takes just two visits. Our team will collaborate with you to ensure that your final results blend in and look natural. Don’t let an imperfect smile keep you from smiling—schedule your veneers consultation today. Ceramic is a durable material that closely mimics the appearance of natural enamel. That's why our VL Dental office is proud to offer all-ceramic restorations. With your custom-made restoration in place, you can look forward to a fully restored smile that looks naturally beautiful. If you’re looking to straighten your smile without the hassle (or noticeable appearance) of bracket and wire braces, Invisalign orthodontics may be just what you’re looking for. This clear alignment tray orthodontic system offers patients a straighter smile in just about 12 months of treatment without the obvious appearance of traditional braces. Instead, you’ll simply wear each set of your alignment trays for about two weeks. Then, you exchange the current set of aligners for the next set in the series until you achieve the desired alignment. Throughout your treatment, you’ll look and feel completely confident thanks to the subtle appearance of your Invisalign clear braces system. Would you like a cosmetic consultation with our Richmond, TX dental team? Call VL Dental today. We serve patients from Pecan Grove, Sugar Land, Rosenberg, Crabb, Booth, and beyond.